Patellar Instability: My "Kneecap" Goes Out! Patellar instability can be a debilitating and frankly, a terrifying condition to deal with because you have no idea when or how the patella will “move out of place.” When it does, it can be painful and crippling. 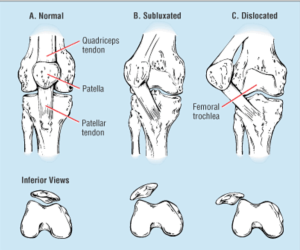 Patellar instability encompasses a few different scenarios. 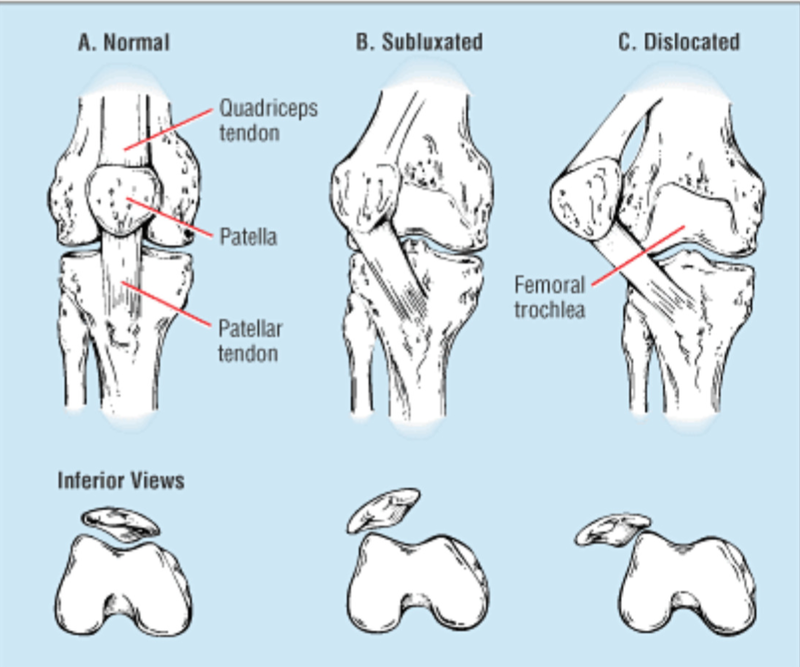 Patellar dislocation is when the patella or “kneecap” moves out of place and stays there. Sometimes a person can move their knee and it will pop back into place and other times, people need the hands of a skilled medical provider to help it reduce. Patellar subluxation is when the patella slips out but comes back into place immediately. Still, others can have patellar instability from a shallow trochlear groove (the groove in the thigh bone that the patella sits in) that enables it to move out of place easily, and some have loose soft tissue around the patella which makes it easy to be unstable. Patellar instability may be a result of multiple dislocation or subluxation events that over time stretches your tissues to the point that they’re like “Silly Putty.” At SSOR, we understand how to address this conservatively but also how to help you should you need surgery. People with patellar instability typically have a history of an injury where the patella “went out of place.” Once that happens, the tissues around the knee get stretched out and therefore make it easy for this to happen. 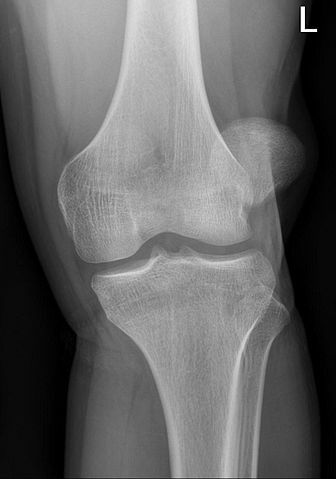 Symptoms of patellar instability include but are not limited to: aching in the knee or the feeling of the inability to get comfortable, the feeling of “popping” with activities of daily living, pain squatting/going down stairs, and feelings of apprehension when doing functional activities for fear that it will go out of place. Sometimes people with patellar instability also have systemic hypermobility, whereby they are “loosey goosey” throughout their body. Not necessarily. You should always try conservative measures first, and that starts with physical therapy. You should try structured physical therapy and home exercises for at least 6 weeks. The only time you should consider surgery is if rehab failed (but make sure it’s the right rehab! We’ll talk about that below), or if there is gross instability in that it goes out all the time. For example, people that still dislocate/sublux rolling over in bed, walking, or sitting on the toilet after physical therapy should consider having surgery to stabilize the knee. There are many different procedures that can be done and these should be explored with your orthopedic surgeon. Most commonly, people have a medial patellofemoral ligament reconstruction to help restore stability to the patella. Bracing can help a little for patellar instability, particularly during activity, but it can’t be the only intervention. We are not aware of any controlled studies saying that these lead to a better outcome. You should ask for/get a buttress brace or a patellar stabilization orthosis. There are many different kinds on the market. 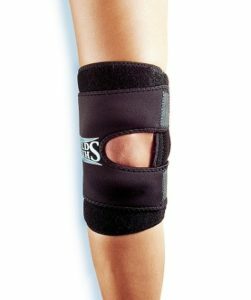 Sometimes, braces serve only to give you peace of mind that you have some compression and support around your knee. First and foremost, a thorough physical examination is required to evaluate you for any anatomical or structural abnormalities that may be exacerbating your condition. Examples might be excessively flat feet, anteroverted or retroverted hips, or lateral positioning of your tibial tuberosity. All of these basically change the line of pull of the quadriceps in one way or another and enable the patella to slip out. You should see an orthopedic surgeon to get X-rays and an MRI to determine extent of bony and soft tissue damage. Ultimately, this will help predict if physical therapy will be helpful or not. Strengthening of the quadriceps, gluteals, and hamstrings. All of these muscles provide structural support to the knee. Whether it’s a first time dislocation or you’ve had multiple episodes, your quadriceps are likely atrophied and very weak. Balance training. It is imperative that balance training be done on the lower extremities. Working on balance training helps keep the knee stabilized during functional activities. It should start on stable, flat surfaces and progress to more unstable ones. 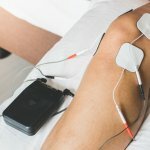 The idea is that when things happen suddenly during our daily lives, the muscles can respond quickly to stabilize the knee and avoid an episode. Ice massage for pain. Works wonders, just try it. Activity modification. Depending on your recreational interests, they may put you at risk for further complications. Therefore, you may have to modify or adjust your activities until after physical therapy is complete. That said, many people are able to play their chosen sport after physical therapy and with the use of a brace. However, you should be evaluated with functional testing measures, like hop testing, to determine physical readiness for sports. Testing is of particular importance if you desire to play a cutting/pivoting sport. If commit to the process of rehab and you’re still having trouble, it’s probably time to go back to your physician and consider surgery. Fear not, people do quite well following surgery for patellar instability. Depending on what they have to do in surgery, it may take a little longer to recover fully, but you should be pleased. Patellar instability doesn’t have to be a continual problem and the reason for your inactivity. A structured, comprehensive physical therapy program by a sports physical therapy specialist will help you reduce pain and maximize your function after a thorough exam by an orthopedic surgeon. 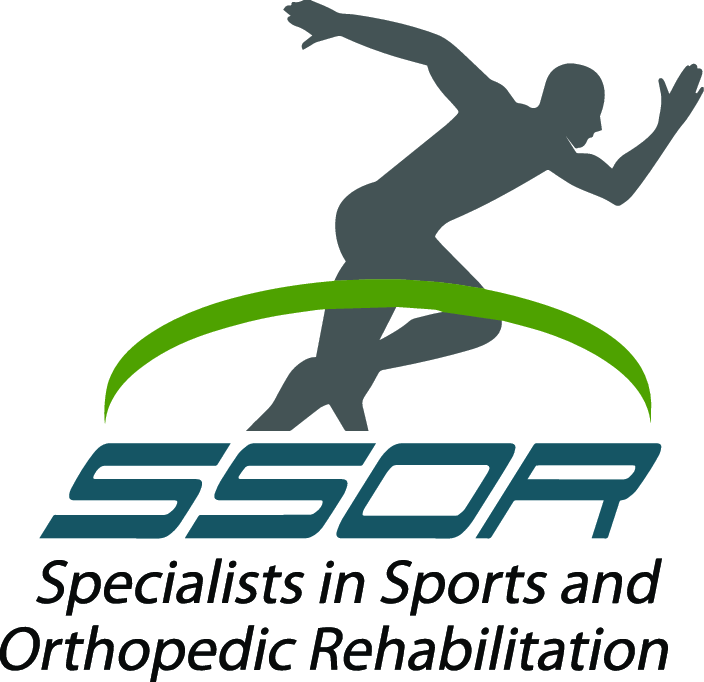 The experts at SSOR welcome the opportunity to serve you and it would be a privilege to partner with you in your care.